It is designed for listening practice particularly while teaching the past simple tense. 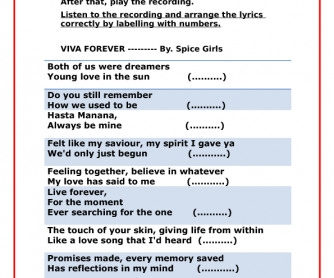 The song used to be very famous performed by Spice Girls, so the class might enjoy it very much. You just have to give brief explanation about the listening sheet and what they are going to do before giving the worksheet to them, including work with unfamiliar words. 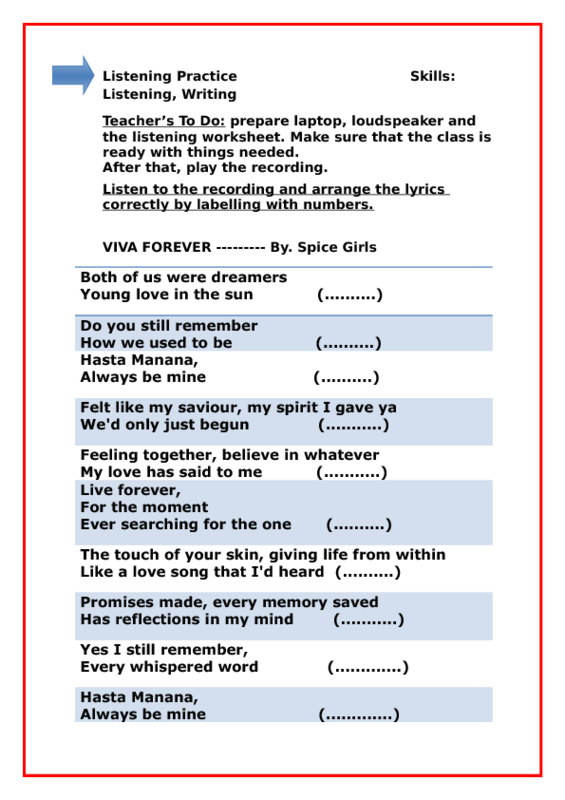 This is also completed with the song script in order for teacher to have a reference. This suits pre-intermediate and upper.